When you first sit down to write your personal statement, talking at length about your experience, skills, achievements and interests might seem a mission, especially to meet the word count. But once you get into the swing of things – and hopefully you'll have lots to talk about – you'll find space running out, quickly. It’s your voice they want to hear – not Coco Chanel, Einstein, Paul Britton, Martin Luther King, David Attenborough, Descartes or Napoleon’s. So don’t put a quote in unless it’s really necessary to make a critical point. It’s a waste of your word count (and a cliche way to begin your statement). Avoid giving a list of all the books you’ve read, countries you’ve visited, work experience placements you’ve done, positions you’ve held. For starters, it’s boring to read. It’s not what you’ve done, it’s what you think about it or learned from it that matters or how it's developed your understanding of your subject. Avoid 'from a young age', 'since I was a child', 'I’ve always been fascinated by', 'I have a thirst for knowledge', 'the world we live in today'…etc. You get the idea. They constantly recur in hundreds of personal statements and don’t really say an awful lot. More phrases to avoid: 'I genuinely believe I’m a highly motivated person' or 'My achievements are vast'. Instead give specific examples that provide concrete evidence. Show, don’t tell! The word ‘passion’ (or ‘passionate’) is incredibly over-used. Try to convey your passion without using the word 'passion'. See, it loses its effect. Frequent use of words or phrases like 'fuelled my desire', 'I was enthralled by' or 'that world-renowned author Jane Austen' make you sound, well, a bit fake (or like you’ve been over-using the thesaurus). If you wouldn’t say something in a day-to-day discussion, don’t say it in your statement. It’s even worse if you get it slightly wrong, like 'I was encapsulated by the biography of Tony Blair' or 'it was in Year 10 that my love for chemistry came forth' (or, worse still, 'came fourth'). Ucas uses stringent similarity and plagiarism software and your universities will be told if you copy anything from another source. And as for exaggeration, don’t say you’ve read a book when you’ve only read a chapter – you never know when it might catch you out at a university interview. Humour, informality or quirkiness can be effective in the right setting but it’s a big risk, so be careful. It can be difficult to ‘sell yourself’ in your personal statement, but don’t talk about why you haven’t done something, or why you dropped an AS level. Focus on the positives and what you have done! Before you write about playing badminton or a school trip you went on in year nine, apply the 'so what?' rule. Does it make a useful contribution and help explain why you should be given a place on the course? If not, scrap it. Still have words to cut from your personal statement to meet the word limit? Here are 10 MORE things you can cut. 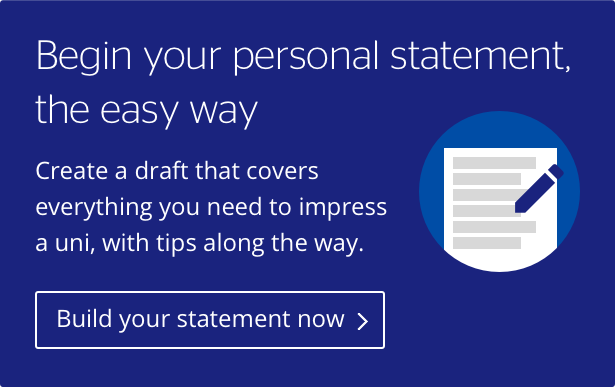 Browse our full personal statement advice or try our personal statement builder to help draft yours. A personal statement is your opportunity to stand out when applying to university. Our guide covers what to write, how long it should be and more. Here’s the follow-up to our original 10 personal statement don'ts article with a fresh set of things not to include on your application.